More time and mileage are needed before reliable statistical conclusions can be drawn but for now it appears likely that a EVs will be far safer than their gasoline or diesel counterparts. False, the big difference between the battery in your cell phone and those in an EV is that most EVs have an active thermal management system. Liquid cooling keeps the batteries at a constant temperature even when you’re accelerating hard or fast-charging. The exception was the early Leaf which had a passive cooling system and battery life problems in hot climates. Tesla batteries last more than 300,000 miles with only 10% degradation and are expected to last 500,000 miles with only 20% degradation which means they will charge to 80% of the original range. If you still own it after that battery prices are likely to be much cheaper. The graphs in the following article show actual data collected on Tesla Model S batteries. False, electric motors are about 95% efficient and coulombic or charge-discharge efficiency of a li-ion battery is about 99% efficient when charged at low rate (overnight - see first link). By contrast gas and Diesel engines are only about 15% to 20% efficient and the energy lost in simply drilling, pumping, refining, and delivering a gallon of gas is enough to drive an EV about the same distance as the extraction, delivery, and refinement of the gasoline. For example, a Tesla Model 3 has an EPA rating of 132 MPGe City and 120 MPGe Highway vs 25 MPG for the average gas vehicle. A “gallon equivalent” of electricity is 33.4 kilowatt-hours. The long-range Model 3 holds about 75 kilowatt-hours which is the energy equivalent of 2.25 gallons of gas, yet it has a range of 310 miles. That’s the same as the range of a 25 MPG car with a 12.4 gallon tank, which is about average. It’s because of the incredible efficiency of EVs plus the greater efficiency of utility power generation that EVs generate much less emission than gas vehicles. In addition to low emission sources like hydro and nuclear power, utilities are installing renewables like wind and solar at an accelerating pace. But even if you live in an area that uses coal power, it turns out that emissions are lower for an EV than even the most efficient hybrid vehicle. The Union of Concerned Scientists has done the most comprehensive study to date which even includes the emissions from manufacturing the batteries. They’ve been updating the study every year to reflect improving utility emissions. The map in the second linked article shows the mileage a car would need in order to outperform an electric vehicle. False, EV range has been improving rapidly as battery prices fall and energy density for Li-ion batteries increase. Tesla Model S, X, and 3, have range options over 300 miles which is comparable to gas vehicles. Chevy Bolt has a 238 mile range and the new Leaf 150 miles. New long range models will be coming to market in the next few years. Many people have an exaggerated view of their daily drive distance but a AAA study shows that the average American drives 29.2 miles per day. 99% of the time you will charge at home in the evening with zero waiting time. This actually saves you time that would otherwise be spent waiting in line and pumping gas. On the rare occasion when you take a long trip there are many public charging stations. For Tesla drivers there are over 10,000 SuperChargers that can charge your car to 80% in 30 minutes. Why 80%? Because batteries charge quickly at low capacity but slow down as they approach full charge. If you start a trip with a full 300 mile charge you will drive for 4-5 hours and then need a lunch break. A single 30 minute stop should provide a full days driving. For More Information here are maps of the Tesla SuperChargers and PlugShare public chargers. False, according to Kelly Blue Book the average price of a 2018 car is $36,270. Chevy Bolt is listed at $37,485 and Nissan Leaf at $30,000. Tesla has been delaying its more affordable version of the Model 3, but the 220 mile range version has been promised in early 2019 for $35,000. It’s important to realize that purchase price is just the beginning. Fueling a gasoline vehicle costs 4 to 5 times that of an EV depending on your gas mileage, price, and electric rates. According to AAA Americans between 30 and 49 years old drive an average of 13,140 miles per year. The average EPA mileage in 2017 was 25.2 MPG, so the average American burns 521 gallons per year. At $3.50 per gallon that’s $1824 per year. A Tesla Model 3 averages 3483 kWh to go the same distance. At the average US cost of $0.12 per kWh the annual cost is only $418. Over a 250,000 mile vehicle life the average cost of gas adds up to $34,722, almost as much as the purchase price. But for a Model 3, 250,000 miles of driving costs only $7952. Maintenance costs are also much less for a EVs. First there are no regular oil changes which typically cost $50 every 3000 miles. Braking in EVs is typically handled by regenerative braking which recharges the battery. As a result EVs can typically go well over 100,000 miles between brake pads. A typical EV has 10 to 15 moving parts in the drive train compared to thousands for a gas or hybrid vehicle. The motor has only one moving part and the transmission is single speed since electric motors have near constant torque at any RPM. That leads to much higher reliability and better value retention for used vehicles. 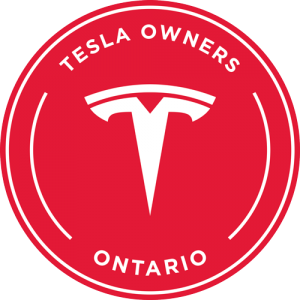 Tesla has the highest customer satisfaction rating of any car according to consumer reports. This despite many minor but well-publicized cosmetic issues typical of new vehicles (see below). Gas vehicles average around $10,000 per year in maintenance with increasing costs near end of life. See link below for specific brands. Not enough data has been collected on EVs but electric motor drives are expected to last 1,000,000 miles. EV manufacturers are already recycling batteries. Lithium is valuable so it makes economic sense to do so. However only 10% of the battery is Lithium (about 63 kg in a Tesla Model S) the rest is carbon-primarily. There are currently trace amounts of cobalt but that is being phased out. Furthermore since car batteries are actively cooled (unlike your cell phone) they last up to 500,000 miles with little degradation (See link below). 500,000 miles in a typical gas vehicle burns 20,000 gallons of gas. So what’s worse, burning 20,000 gallons of gas or recycling 63 kg of lithium? False, Pacific Northwest National Labs found that 70% of the US auto fleet could switch to electric with no upgrades to the grid (see first link). There are two reasons for this. First it just doesn’t take that much power. A Tesla Model 3 has a 75 KWh battery that costs $7.50 to charge and drives for 310 miles, about the same as a typical gas vehicle and enough for most people to commute for about a week. But 75 kWh is about the same energy as 2 gallons of gas. 75 kWh per week is a small fraction of most people’s usage. The second reason is that EV owners charge at night when power demand is low. EVs have a timer that will begin charging late at night when usage is low. Some utilities already offer “low demand period” discounts and that practice will likely increase as EVs become more prevalent. In some areas EVs are beginning to experiment with “vehicle to grid” power that uses plugged in EVs as a storage unit to add power back into the grid during peak demand or low renewable availability (see second link). EV Owners will be paid by the utility for helping to balance the load. Charging at home is central to your ownership experience–it will be your primary method of charging your car, starting each day with a full tank is one of the perks of EV ownership. 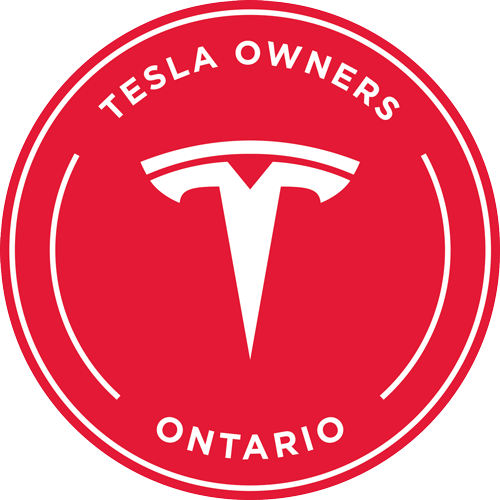 © 2019 Tesla Owners Club of Ontario. All Rights Reserved.